Large and Small & Medium sized businesses (SMB’s) are continually working to get more done with less resource. Most of this is being accomplished by adapting the use of the Internet and ERP applications and SaaS (software-as-service) solutions that create collaborating environments that interconnect its business, employees, vendors, customers and it’s other partners. Suncom partners with organizations for ERP Systems such as; Oracle, SAP, Microsoft, Tally, and other bespoke ERP systems having is a single centralized framework to integrate and automate all business processes of an organization that is tailored for increasing operational efficiency and improving the accessibility and flow of information across all departments. Our cross-industry consultants have implemented and manage from Automotive, Aviation, Construction, HealthCare, Hospitality, Manufacturing, Real Estate, to Trading (Import / Export houses). Improve decision-making with real-time metrics and role-based Dashboards, Improve productivity. Platform independent – It can be accessed from a desktop or laptop, or handhelds like a PDA. Reduce IT costs and problems and staffing associated with maintaining and upgrading traditional client-server software applications. Provide timely service to the customers and clients. Automate all business and functional processes thereby increasing overall operational efficiency. Help to improve internal business processes and enable organizations to improve customer satisfaction. Have a flexible and scalable structure thereby enabling organizations to adapt and cater to future business expansions and requirements. Since it is based on the web, each user can see the screens in their his/her own language. 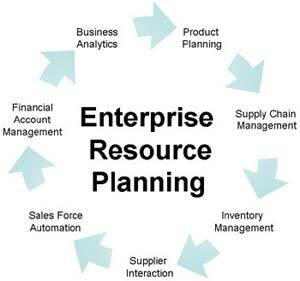 Suncom facilitates its customers with Enterprise resource planning (ERP) based systems to manage internal and external resources including tangible assets, financial resources, materials, and human resources.